Tucked along the shores of Lake Union in the heart of Seattle, Gas Works Park features the typical array of joggers, bikers, and even the occasional sunbather. Its 20 acres of idyllic grassy hills and towering evergreens includes a play structure and plenty of picnic tables. But it’s also home to something unique: an assortment of giant metal structures. There’s the thin, cylinder-shaped ones that extend straight up, and the shorter, wide ones with a complex assortment of pipes and ivy running along their sides. And then there is the tangle of smaller devices painted in bright colors under an open-air building next to the children’s playground. Although long out of commission, these structures were once used to produce synthetic gas. Today, they are a key part of the city’s character and even its skyline. But they also offer a glimpse into Seattle’s rich history, along with lessons about expansion, industrialization, and our impact on natural resources. 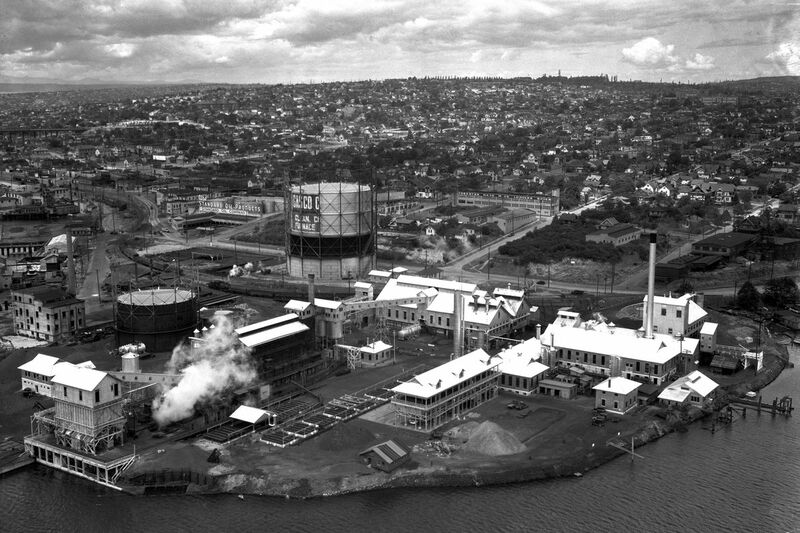 The manufacturing plant that would later become Gas Works Park, fully operational in 1935. Gas Works Park was once a major synthetic gas manufacturing plant. Beginning in 1906, the structures on this plot of land produced a type of fuel extracted from coal, petroleum or other carbon-based materials—a major source of energy for residents throughout the city. By 1956, Seattle, along with the rest of the country, had moved on to alternative energy sources, so the plant was closed. But these structures had been releasing black smoke and pollutants into the land and water for years, so their impact on the area didn’t magically disappear overnight. This plot of land, which extends 400 feet into Lake Union, was a swamp and rich marshland, explained Way, making the abandoned gas plant especially devastating. Before the plant, the space was an excellent spot to find foods to harvest and other resources, making it a significant place for local American Indian tribes. Landscape architect Richard Haag saw beauty and potential in this space. While others called it a dump and pushed to cart away all of its toxic soil and ship the gas structures to the dump, he lobbied to create a park on the land by reusing the structures and actually removing the toxins from the soil. 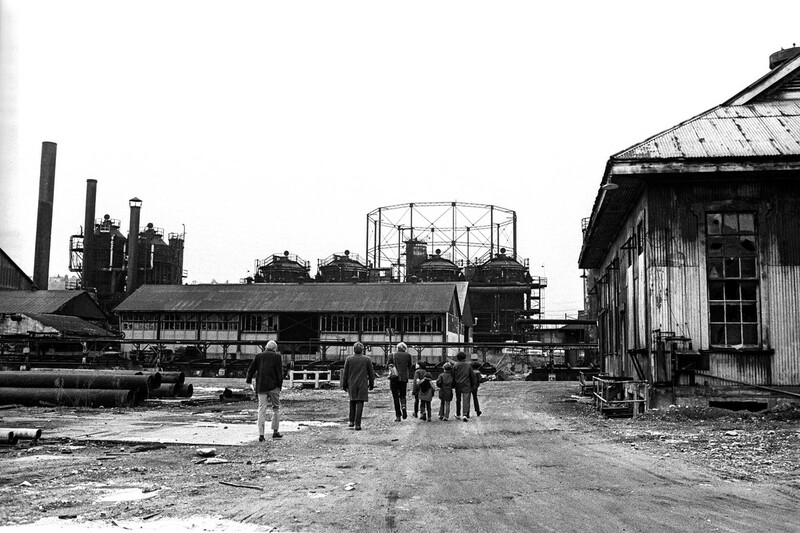 The site of Gas Works Park in 1971—15 years after it was abandoned, but before its transformation. Haag, who died in 2018, saw beauty in the gas structures, often calling them a family, explained Way. But it went beyond aesthetics: He wanted to make sure this part of the city’s past was recognized long after the gas plant closed and that its impact on Seattle would be remembered for decades to come. The transformation process took about six years, and Haag had to convince a lot of people that his plan was a good idea, explained Way, who studied Haag and his work in her 2015 book The Landscape Architecture of Richard Haag: From Modern Space to Urban Ecological Design. Haag moved his office to the plant and held a series of community meetings to showcase his idea and get suggestions from the public. He was eventually able to get the community on board and even excited about saving the structures, and by 1976, the park was completed. 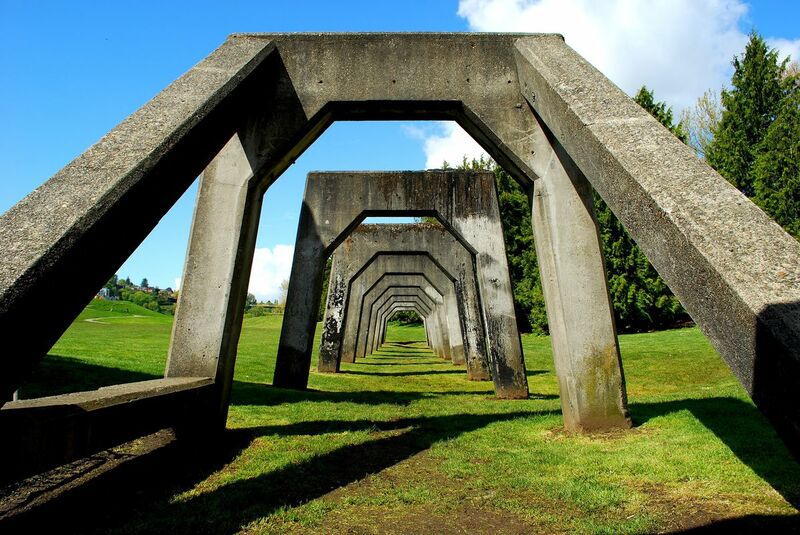 Concrete structures became part of the landscape in Gas Works Park. This transformation was notable for Haag’s experimentation with bioremediation in order to deal with the mounds of polluted soil on the land. After meeting with a soil scientist, he started mixing organic matter to the contaminated dirt. He was able to not only detoxify most of the land, but did so on-site—a first for a park, said Way. The most toxic materials were put in a large pile and capped with 18 inches of hard-packed clay. 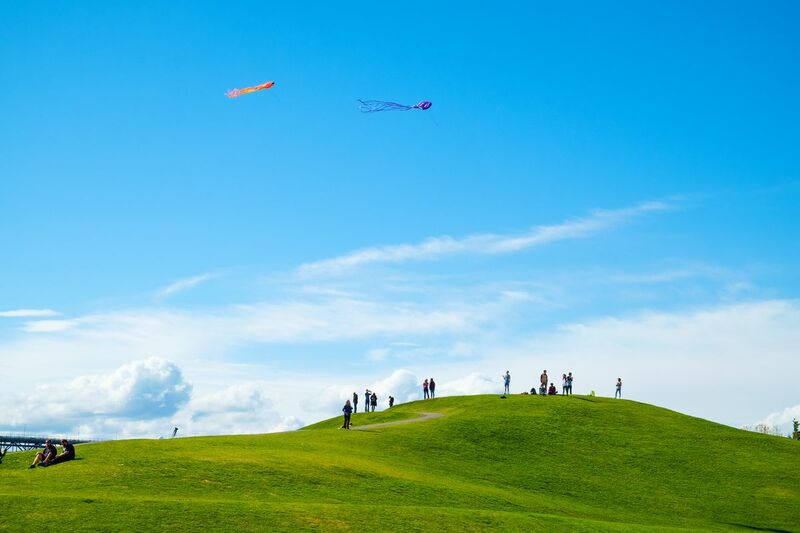 Today, that spot is known as Kite Hill, one of the park’s more popular features. Aside from taller trees and a greener shoreline, Gas Works Park hasn’t changed much since the 1970s—although, after a young boy fell off one of the towers in 1976 and broke his arm, the structures were made much less accessible to visitors. Kite Hill in Gas Works Park. Since it was completed, the park has gotten a lot of attention outside of the city because of its design and incorporation of leftover gas plant equipment. 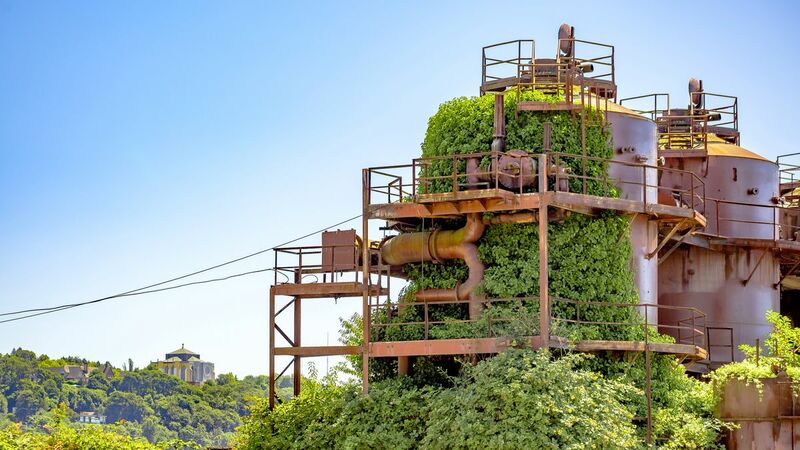 Over the last few decades, Gas Works has inspired others to create parks and other recreational spaces on the backs of warehouses, towers and even tanks, said Way. Back home in Seattle, though, the park simply remained a popular spot for locals to visit while continuing to help showcase an important piece of history.